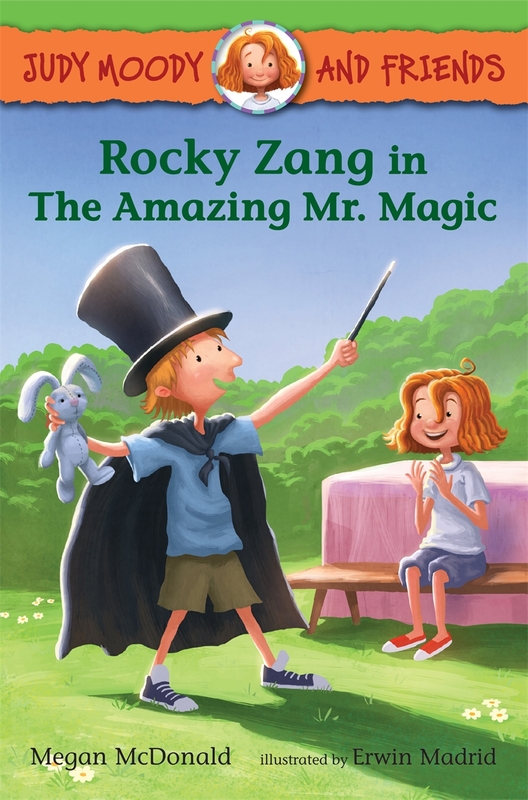 Rocky is perfecting the tricks for his magic show when Judy Moody offers to be his assistant. Rocky agrees, but it turns out that Judy – or Stella the Spectacular as she calls herself – is the most UN-spectacular assistant ever. When she gets ketchup all over the magic rabbit, the Amazing Mr. Magic has had enough! Is Rocky’s magic good enough to mend his and Judy’s friendship? From Megan McDonald comes a Judy Moody story just right for newly independent readers. Erwin Madrid has worked as a visual development artist for the Shrek franchise and Madagascar: Escape 2 Africa. The illustrator of The Scary Places Map Book by B. G. Hennessy, Erwin Madrid lives in the San Francisco Bay Area.